A final ruling by Massachusetts Supreme Court would erase convictions but not undo the harm caused by a corrupt state chemist. “The bad news is, it took a lot of time and litigation to get to this point. But the good news is, the courts are working really hard to make sure this relief is meaningful,” said Matthew Segal, the legal director of the ACLU of Massachusetts, who helped represent some of the Dookhan defendants. 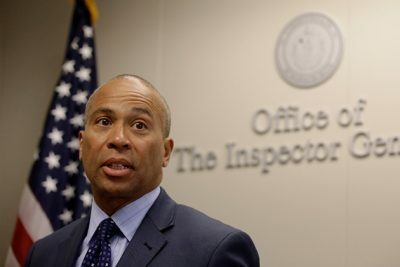 The state’s public defender agency has opened a telephone hotline (888-999-2881) to field questions that defendants may have about their convictions and whether they were dismissed. Prosecutors have until mid-May to send notice to those whose convictions were not overturned — in about 320 cases — so that those defendants can decide whether to request a new trial. Those cases involve what prosecutors considered to be the most serious offenders, and prosecutors believe that they have enough clean evidence to defend the original convictions. The earliest Dookhan cases go back to 2003, which means that some individuals have been living with a flawed drug conviction for nearly a decade and a half. Lawyers for defendants, prosecutors and the state’s top court are also grappling with the question of how to find and contact defendants who may have been deported from the U.S. due to their now-overturned convictions, Segal said. As a result, the effects of having an illegitimate drug conviction wiped away may not be immediately felt by many defendants. The prosecutors’ move to dismiss thousands of cases follows a January decision from Massachusetts’ highest court, which required them to decide which Dookhan convictions they would maintain and which ones they would dismiss. For years, prosecutors opposed any wholesale review of Dookhan-involved cases and at one point argued that they had no duty to send notice to convicted defendants of the possibly tainted evidence. 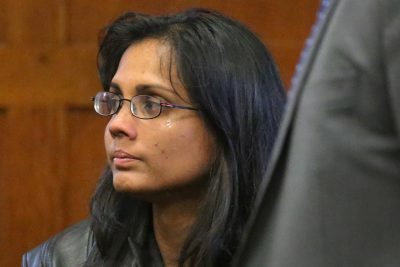 Four years after a Massachusetts crime lab chemist confessed to tainting evidence, more than 20,000 defendants still don’t know if their drug convictions will stand. In September, prosecutors finally mailed out thousands of notices, but the letters lacked key information and were accompanied by an inadequate Spanish translation, according to the court. As of November, fewer than 2,000 Dookhan defendants had sought or gained relief from their convictions. The most affected cases — nearly 8,000 — came from Suffolk County, which includes Boston. All of the convictions were based on “reliable, admissible evidence” in addition to Dookhan’s tainted test results, and many of the defendants have criminal records that extend beyond the Dookhan cases, according to a statement from the Suffolk County District Attorney’s Office. The county’s mass dismissal “represents a good faith effort to meet the high court’s goal of winnowing the number of Dookhan defendants down to a manageable number,” the statement said. The hundreds of defendants whose Dookhan convictions were not overturned could still decide to challenge them by requesting a new trial. If they cannot afford their own lawyer, the state public defender agency is required to provide them one for free.